What do smart travelers have in common? Frequent flyers use thermals under their clothes so they can travel carry-on only even in winter. Find out the brands our readers most recommend! For a full packing guide, read how to pack for cold weather like a boss! Thermal underwear is a type of clothing worn beneath your top layers to keep your body warm, especially during harsh winter temperatures. 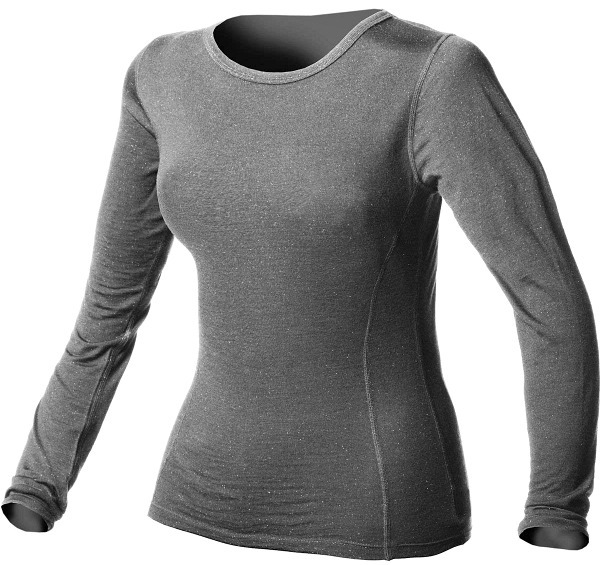 Made from specialty fabric to protect against the cold, women’s thermal underwear traps body heat to provide warmth. 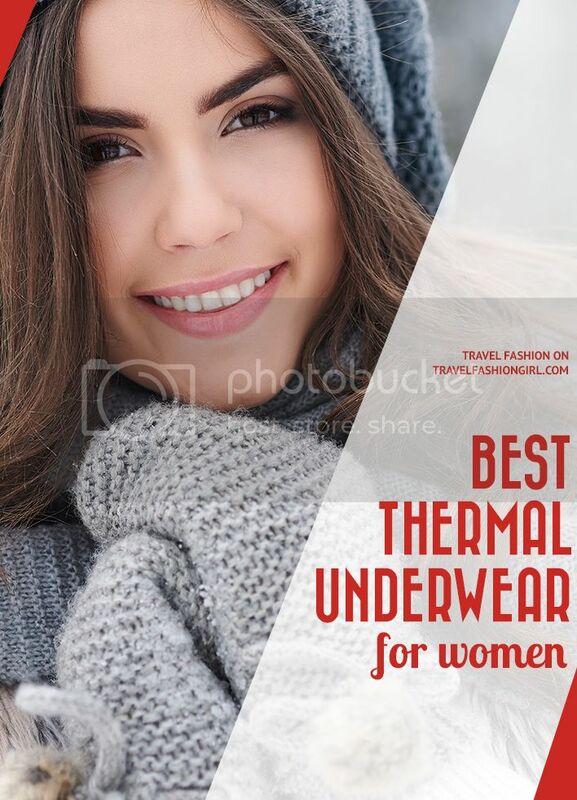 The best thermal underwear for women often feature popular and recommended fabrics, such as merino wool and polyester blends, because they are lightweight, ultra-warm, and wick away moisture. Outdoor brands specifically choose certain fabrics that are ideal for traveling in the winter. Another smart traveler secret is to re-wear clothing more than once without washing. Read more tips about this strategy here! The best thermals are made from merino wool or silk fabric because it wicks away moisture, it’s lightweight, and ultra-warm. People love these fabrics for travel! One of the biggest benefits of traveling with clothing made with merino wool is that it can be reworn several times without washing. Some travelers have even gone weeks wearing it repeatedly without washing it! Due to this reason, you only need to travel with one pair of woolen thermal underwear on a trip helping you pack light yet stay extremely warm. I usually pack them in one of my packing cubes along with my undergarments and pajamas as shown at the end of this video. The biggest downside with merino wool and silk thermal underwear is the price. Because they’re high quality materials, they are high in price but well worth adding to your capsule wardrobe. All you need is one pair! Keep an eye out for sales. Synthetic blends are a less expensive option. Although not quite as effective as natural fibers, they’ll definitely help keep you warmer than not having them at all. Keep in mind that cotton is the least effective fabric for winter under clothes such as thermals. It absorbs moisture, preventing your clothing from helping you stay warm. What Brands Offer the Best Women’s Thermal Underwear? Silk thermals from Terramar are made with 100% silk pointelle knit. Their anti-microbial comfort technology is a plus when you want to re-wear your clothing. As a plus, they’re also one of the best silk thermals I’ve found, and they’re the most affordable brands, too. I’ve got the silk scoop neck top and bottoms on my holiday wish list for sure! 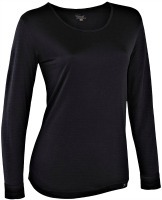 Tip: when it’s really cold, layer a silk thermal under a merino wool thermal top for the perfect combo of warmth! The name speaks for itself: this brand’s expertise is all about wool. Minus33 makes use of sustainable, 100% merino wool in all their clothing offerings. Their thermal underwear is made with basic and bright colors that work as mid-weight base layers for your cold weather wardrobe. As an added bonus, did you know merino wool makes a great base layer for dry suit scuba diving? It’s a brand that explicitly states what it’s meant to do: break the ice. Made for the adventure traveler, Icebreaker creates clothing options to match your outdoor necessities. Their base layers are 100% merino wool, perfect for winter hikes, camping, and travel. Anubha, one of our guest writers, lives in the Canadian arctic and wears Icebreaker all day every day. She says, “I’ve found Icebreaker products perform very well in terms of fit, durability, and temperature regulation – I’ve had no problem throwing them in with the laundry! I would also recommend their socks and undies, if you want to go for a full-wool ensemble. They’re some of the best extreme cold weather thermals. Icebreaker doesn’t just make some of the best thermal underwear for extreme cold, they also have great travel clothes, too. Our backpacking guru Tammy Lowe recommends the Villa dress. For a trip to an extremely cold destination, read our post on what clothing to wear in the arctic! If you’re looking for the warmest base layer for cold weather consider Coldpruf, part of the Indera Mills Company, a family-owned brand in North Carolina. ColdPruf creates knitted and thermal underwear products that give off a familiar, cozy feeling. Their products are made with a polyester and merino wool blend that’s perfect for base layering. What’s most eye-catching about this brand is their cost effective merino wool products, including this dual layer bottom and top. A supremely cute name for a brand that specializes in cozy clothing, women’s Cuddl Duds long underwear is best for affordability. From fabric to fit, they offer winter wear that can be worn in layers to provide warmth without breaking the bank. You can choose from different waffle-knit designed patterns and colors to match your lifestyle. 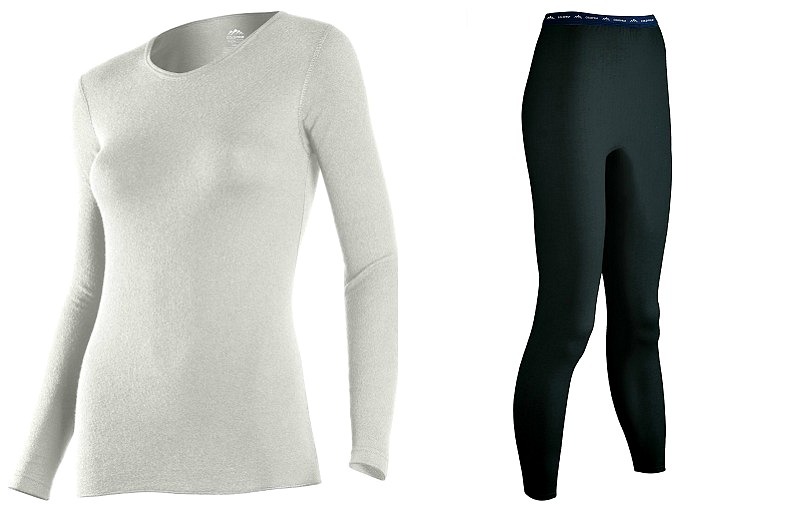 Cuddl Duds thermal leggings get top marks from our readers. 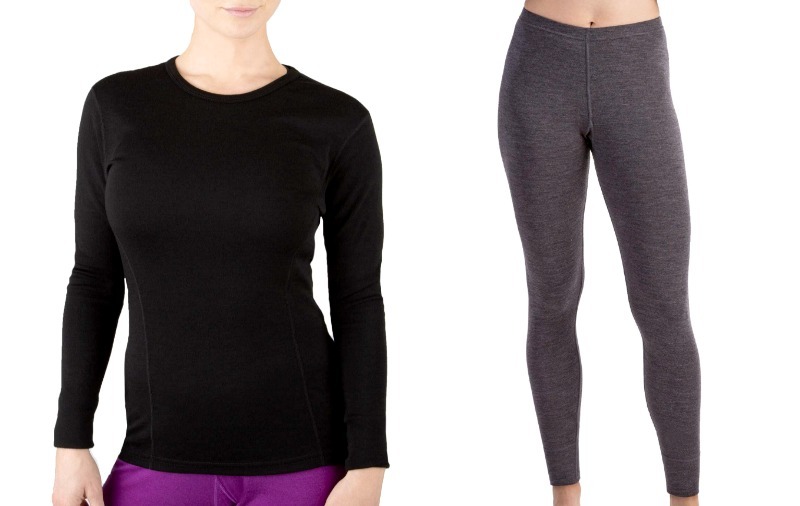 Heidi Barry Rodriguez says, “For an inexpensive base layer I like the Softwear Stretch leggings. They are amazing. When it’s really cold out, I put the leggings under it – those are not constricting at all. I walked all over New York City in below freezing weather and I was warm. Soft, comfy, and hand wash well. The shirts are terrific, and the leggings are excellent under other leggings or pants. 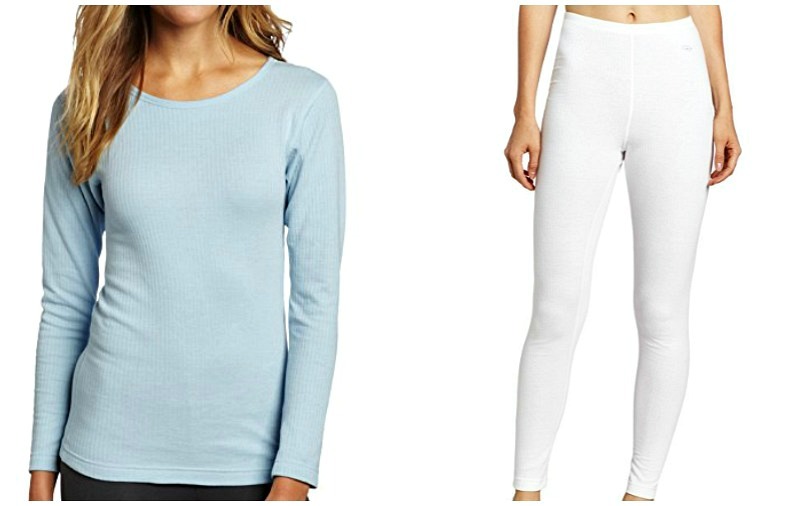 TFG readers love their classic and best thermal underwear for women, especially for their budget-friendly prices. This sub-brand by Champion invites users to “hold on to the heat”, and they make it possible with their league of thermal underwear! Their snug-fitting, moisture control products are made with cotton, polyester, and spandex blends. Solid tops and bottoms can easily be paired and layered with other clothing against the cold. One of the biggest perks is the price: their mid-weight bottoms start around $10 and the higher grade tops start around $25. Merino wool is one of the most perfect fabrics for keeping you warm and comfortable all day. It will naturally wick moisture away from your body. It is anti-bacterial and resists odors. You can wear it to stay warm in winter or cool in summer. It’s a fabulous fabric! 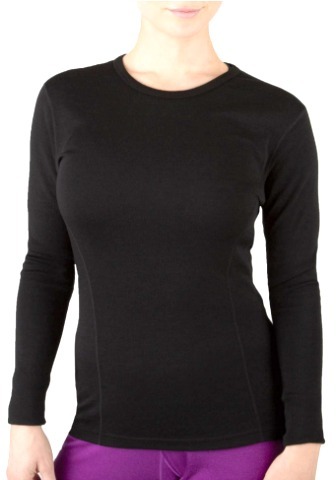 Meriwool’s baselayer crewneck top in merino wool offers a flattering fit if you want to wear it alone. You also can wear it as a baselayer or a mid-layer, if you need additional warmth. The merino wool leggings and top feature super soft fabric, with no itch. This Meriwool quick-drying shirt and thermal leggings have a loop you can use to hang them dry. We don’t usually recommend washing merino wool while traveling; first, because you can wear them many times between washings, and second because it takes wool a long time to dry. Meriwool recommends you hand wash their products and lay them flat to dry for best results, but the washing instructions on this merino wool crew top and leggings say you can machine wash them on cold and tumble dry on low with like colors. You might not want to do it all the time, but if you need to wash your merino wool while traveling, that’s one way to ensure they would be dry. Our readers suggest the best merino wool sweaters! The Amazon-based Angelina brand offers winter wear, including fleece-lined thermal underwear for women. Not only are their prices super affordable, but their products come in a wide array of colors so there’s something for every personality. While the other bottoms listed in this article act as the perfect under clothes layers, these styles from Angelina are the best thermal leggings for winter to be worn on their own. Thermal bottoms tend to loosen with wear but since these leggings have a microfiber spandex blend. Their inexpensive, fleece lined thermal leggings are one of the most popular and best-selling items featured in TFG’s ten best leggings for women who travel and I’m definitely going to get them the next time I’m in the US! They also offer fleece-lined tops which sound absolutely amazing as I write to you from my bitterly cold English flat. Brrrrr! Their anti-microbial comfort technology is a plus when you want to re-wear your clothing. Work as mid-weight base layers for your cold weather wardrobe. Made for the adventure traveler, this brand creates clothing options to match your outdoor necessities. Their products are made with a polyester and merino wool blend that's perfect for base layering. 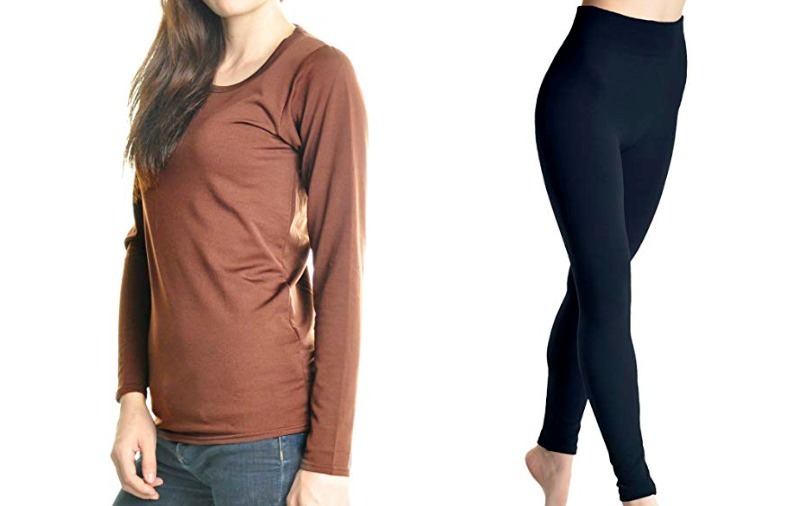 Best for affordability, Cuddl Duds thermal leggings get top marks from our readers. Invites users to "hold on to the heat", and they make it possible with their league of thermal underwear. You also can wear it as a baselayer or a mid-layer, if you need additional warmth. The merino wool leggings and top feature super soft fabric, with no itch. One of the most popular and best-selling Items featured in TFG’s ten best leggings for women who travel. 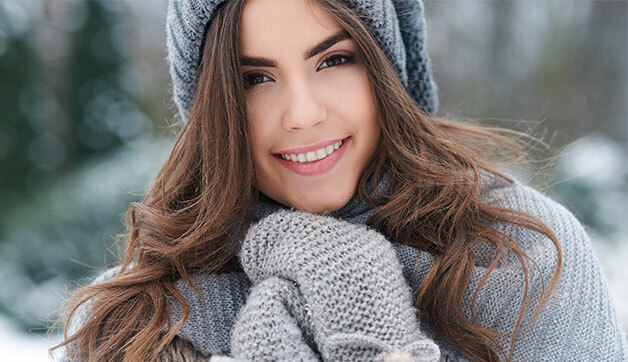 Read this post on how to stay warm in cold weather and not look like a snowman! Who gets your vote for the best thermal underwear for women? Comment and share! I hope you liked our top picks for the best thermal underwear for women. Share this post with your friends on Facebook, Twitter, and Pinterest. Thanks for reading! Hello! I’m traveling to Paris, Brussels and Barcelona for 10 days in December and January. I’m particularly worried about sightseeing in Brussels and Paris. I have a pair of weatherproof Aquatalia boots which I hope will suffice. Do you have any recommendations on how many layers of thermal underwear I’d need? I just think get a sense of how cold it can get. Thank you for this great article! I Have lymphedema in my left arm/shoulder and can’t wear pullovers. I can’t find women’s Or men’s full, button down thermal shirts/undershirts. Got any ideas? Hi Alex, I’m looking for some thermal tights that will look good with skirts but still have the thermal qualities. Footed OR footless, I’ll wear with boots. Ideally they would be look like any other opaque tights, high waisted, a tiny bit transparent and have a matte finish. I would think they would need a bit of stretch to achieve this, otherwise you would get baggy knees. Not a good look! 🙂 Which would you recommend for this? Thanks, this is the best blog ever!! Hi Mira, thanks for your question. Glad you like the blog 😊 We’re going to post your question on the TFG Facebook Page to help get you some ideas for thermal tights: https://www.facebook.com/TravelFashionGirl/ Keep an eye out for responses from the community! Thanks Alex! I actually ended up with the Falke Merino blend tights and they seem like they will be perfect. So soft and warm they seem stretchy enough. Also, amazingly, they were almost half the price of Amazon on the British high end fashion site MatchesFashion.com! Matches was great, free shipping, free returns and got to me in California from the UK in 3 days! Colombia now makes a line called ‘Omni-Heat’ with micro ‘mirrors’ on the inside. I work in Russia and can vouch these work well. Cuddl duds thermals are not comfy! Don’t be fooled. The material is not soft and the fit is too tight. I really regret wasting my money on these! Oh no, which styles did you choose? They get rave reviews. Ibex, Merino33, Icebreaker?! I would looove to own any of these fabulous brands! Great list. I may have to travel to Saskatchewan (Canadian prairies) in January. Extra warm long underwear is a must. Thermals really make all the difference in cold weather. I love all the funky and functional options available nowadays! As a frequent traveler and avid snowshoer, these would be a welcome addition to my suitcase. I would love to win this thermal layers in order to use them in my next europe trip, I am going to Rome, Prague and Germany. I come from a tropical weather in mexico, I am freezing here in france and its not even decmeber!! ALso, their lovely designs are easy to match with casual clothing. Useful? My goodness. Not only do I need them because I live in Canada and I work outside, but they look good too. Would love a base layer of these. Traveling several times this winter and these would certainly be appreciated. These are so nifty to have in your closet! I have an old pair of thermal tights, and they really contribute so much more warmth than you think. I know I certainly could use a new pair so that I don’t freeze while showing my family around my hometown this Christmas. I would choose TERRAMAR brand of thermal wear. I live in a tropical environment and don’t need much cold weather clothing. A set of silky thermal clothing would enable me to keep warm when I travel to cooler climes and still be able to pack lightly. I’d love to win a set of thermals to hopefully assist with the ever cool nights here is Aus’- I already find myself buried undercovers nightly! I would love to win these thermals for a trip I’m taking to Maine and we will be dog sledding. These would be perfect for this! I feel the cold badly (coming from a warm part of Australia) when we travel to the northern hemisphere. Thermals are important to me!! I would love a baselayer thermal set!! I’ll be traveling to the frozen north for all of December and January this year, with a ton of outdoor activities planned, so I will need to stay warm!! Can’t wait! Love those merino under layers that don’t itch- nothing keeps me more comfortable! Lightweight, cozy and comfortable. Easy to care for. Theses thermals are ideal! I love winter, but only when you dress right. Light-weight thermals are so comfortable and a necessity. They are great for hiking, skiing, cold-weather camping, and everyday walking around, whether for travel or at home. And as far as travel goes, I love how little space they take in my pack! One of my favourite benefits of merino wool thermals is they don’t seem to pick up any body odors. You can wear a top more than once before laundering. If that isn’t a benefit to a traveller with limited space I don’t know what is! Merino thermals would be amazing to go skiing in! They would make it so much easier to stay warm while sitting on the lift. I have lived in a tropical climate for a year so finding warmer winter wear for my return to Midwest winters is a must! I bought my first pair this year, (ice breaker) before hiking the Salkantay trail to Machu Picchu this year. They made such a difference! We are hoping to do a ski trip this year and an extra pair would be great! I love staying warm. It makes enjoying the winter that much easier!! I would love to try a couple of these out. Thanks for the tip! Ibex thermals are so wonderful for surviving the windy winters of Chicago. These thermals seem like a perfect addition to my suitcase for my upcoming trip to Europe in December. We have very mild winters where I am from so I was a bit worried about the cold, but with these thermals I can enjoy my trip, knowing that I will be toasty warm! I’m obsessed with lightweight soft wool. Good for every climate! Would love these, as mine are worn and holey! This is a great round up of warm wear. I wear thermals under my clothing during the winter here. I have a merino top that I wear and it is an awesome fabric. I am really hoping to be able to travel this winter and these would come in handy since I am planning on going somewhere cold and I do not have the wardrobe for it! I travel to Alaska a lot for my job and I’d love to go explore the beautiful outdoors during the winter and not just stay cooped up in my office! I would love a new set of wool unders for snowshoeing on -20 days this winter, the synthetic ones I have are just not so great. Thanks! Love merino wool. This would be perfect for my February trip to Ireland. Thanks for all the great information. I’d love to win a set of Ibex Merino Wool Thermals because I travel a lot in winter, so I want to feel warm and cozy even in cold and snowy weather! I haven’t had thermals since I was a kid. I might be more inclined to face the elements with a decent pair. They seem both stylish and warm. These look perfect for an upcoming international trip in January to somewhere much colder than my home state. I’m struggling with the urge to bring every bulky sweater I own so I don’t freeze. This would solve that problem! I’d love to win a pair of thermals because I plan to bring a lot of baby clothes and gear back from Canada to Brazil and, therefore, will have to keep my share of the suitcase to a minimum! I’d love to have a pair because i like to feel warm and cosy at home. Thank u! I am a serial over-packer diligently trying to keep to a medium sized bag for an upcoming part city / part ski trip. Oh, how a lovely pair of Ibex woolies would make my bag lighter (and keep me warm in the process) Then, on my return, I would wear them daily as Minnesota winters are cold ones! Thanks for the travel tips – I am a fan! Warm, lightweight thermals are necessary to keep me cycling all winter long. I find that the thicker the thermal, the less movement my knees can handle. I am always looking to try very thin, yet very warm thermals to help me on my bike travels all winter long. Great ideas–thanks! Like everyone else I would be delighted to have this upscale and super warm and comfy secret weapon against the cold–for our “green” lo-temperature winter apartment in CA where I live and for traveling to Maine to see my family in the colder half of the year–yay! Ibex — great thermal wear. It traps my body heat and keeps my body & soul warm in the cold winter months. It adds so much value to my holidays when I am happily warm. Love to travel with this light weight garment… great design.. Living in Fargo, ND the winters are extremely frigid and the wind cuts you like a knife. These thermal sets sound like just what I need to be able to enjoy the outdoors in the cold months. Thank You for the chance to win. Thermals are a good option to avoid bulkiness. I remember I traveled for my first real winter and I did not know about thermals, so guess what, I packed too much clothes for only one week. The Ibex ones have a nice look to them. My mom gave me a pair last year of some obscure brand and they were so warm. I wore them all the time. I like thermals very much. It’s warm, soft and easy, very comfortable. I dream to visit Iceland and I need thermals. We are going to New Hampshire this winter and these would come in super handy, love that they are light and still keep you warm. Love the Ibex Thermals. I’m travelling in New Zealand for the next year and I would love to win a set of thermals to keep me warm during those cold nights in our campervan! I would love to win these for the cold winter to go walking,snowshoeing or skiing! I live in Canada-it’s cold and new thermals by Ibex would warm my heart….and more! I’m a tropical girl, and once I visited a four-season country in winter, I had no idea what to wear. And that leaves me freezing, like, to death ahahah.. Thank you for this information! It’s on my wishlist now. These look so cozy! They would come in extremely handy if this winter is as cold as the last one.. I love getting out to walk the dogs and go snowshoeing, but it gets down to -20′ here in NB with even colder windchill. BRRRRRRRR! These would be great. They look warm and comfie! All of my friends swear by Burton! I love all of their designs and patterns! I just need something to keep me warm for winter sports like snowboarding! Heck I would wear them even just to walk the dog or lounge around the house! I’d love to win a set of thermals! It will keep me warm on a winter day. Living in Alaska and enjoying the outdoors has resulted in a drawer full of base layers…mostly black. I would love to be brave and wear some colorful insulation! Burton has my vote and since these layers seem to last, the price is right for a quality investment! Alyeska Resort here I come! These are all amazing, the patterned ones are gorgeous. Angelina is my favorite! These are great choice to cope with cold weather where I live. Thanks for sharing. These would keep me warm during all my ski trips and traveling this winter! This December will be my first experience in Europe during the winter season so these thermals would be very useful! Thanks for all the info this post was very helpful!! I’d love to win a set of these thermals because I’m currently traveling abroad in Europe, and this upcoming winter will be my first ever winter outside of Arizona! Brr! I’d love to win a pair of thermals because I live in NYC and have yet to figure out a great way to stay warm (and dry!) during our kinda harsh winters. I’d love to win a set of Ibex thermals because I will spend the Winter in China and it will be so cold there. I really need some new thermals for the winter! Thanks for sharing such an awesome list! I can’t wait to get some Cuddl Duds! I really need some thermals for winter! Thanks for such a great list to choose from! I really like the Cuddl Duds & can’t wait to get some! We frequently travel regionally to attend our kids’ soccer games. The weather at soccer fields can be unforgiving – nothing to block the wind and cold! A new set of thermals are the answer – light packing and adequate warmth! I’m moving to New Zealand in May (south island)… just in time for the winter season – I would love love love to win a set of thermals! I’d love to win the thermals because I want to travel to Canada next year! I’m always freezing on the plane. Wearing something that looks good and keeps me warm would be fantastic. I am also trying to fit in few runs when traveling, and it’s challenging sometimes in colder weather due to extra set of clothes that needs to be packed and not worn for anything else. These will come handy! Those would be so cozy for our Thanksgiving trip home! As a lifelong Cali girl hoping to move to New York this winter, I’d use the thermals not only for light packing while travelling but also day to day life! Living in Canada prepares me for winter, but it does not mean traveling light to England in early spring will be easy. All my heavy, warm clothes will be too heavy for light packing. The varied weather in the UK in early spring scares me, I keep hearing the Scotland in May can be like March here at home. Lightweight thermals would be a great addition and a relief for a first time “across the pond” traveler like me. I’d love to win a pair of thermals because I’m a Segway tour guide, and we sometimes give tours in temps as low as 34 F in the winter! Thermals would be a great way to help me stay warm as I’m gliding around town! I would love to win the thermals. After reading the above list, I realized that I currently own silk glove liners from Terramar (Love!) and an Ibex merino wool scarf that I got for a steal!! I try to travel with just an 18″ hardside Delsey suitcase so layers is the way to go!! I live in Canada’s Yukon and wear merino thermals A LOT! I am such a big fan of the Ibex Merino leggings. I bought a pair in 2007 and just decided To retire them last winter. I love how nice and long they are and the odour resistance. I’m Totally impressed with the durability and longevity most of all. It’s exciting that thermals come in so many fun colors now, I’m ready to move on from the old black ones. I am undergoing treatment for breast cancer and my internal temperature gauge is going crazy. I range from extreme hot to freezing cold in seconds. I also suffer from circulation problems but if I keep my trunk warm, my extremities stay warmer. I love to travel and I like to pack as light as possible. I believe trying the Ibex thermals would be excellent choice in my frustrating attempts to stay warm but not too heavy! I really like the Cuddl Duds thermal wear! Ibex thermals would be great for skiing and then staying cozy by the fire. They’d also be great in July when I make a summit attempt on Mount Rainier! I am from Europe and I am going home to Slovakia at the beginning of December. Also, I am planning on going to Scotland in January and after that to Ireland. The winter time in Europe is super chilly and freezing, so it will be very cold in those countries. I would love to win the set of thermals which will keep me warm and it will be a nice present from USA which I will bring back to Europe with me. I live in Israel. We have heat in the winter. But I’m planning a trip to Europe in the winter – without luggage, carry on only. I am therefore very important to have good thermal underwear – like Ibex. I’ve tried Icebreaker and really like it, I have a merino wool dress from them and it’s great pretty much all year except the peak humid summer days. I want to try Ibex next, I like clothing made by outdoor companies – I find them to be very well-built for adventure! Merino is the only wool I can wear without scratching myself raw. I’d love to win a pair of the Ibex long underwear… I’ll be traveling to Ireland and Dubai in December – two COMPLETELY different climates! A great pair of long underwear will help me pack light, but still be comfortable as we explore the Emerald Isle. It is great to see Cuddle Duds has expanded their line and styles . I have a couple of pieces from years ago that look like they were designed for old ladies. I’m excited to try some new brands for my snowshoeing adventures. I have recently lost 20+ lbs and I am rebuilding my wardrobe from the ground up. Winter is coming so I could really use some toasty new Ibex Thermals. I get cold easily and my travels always take me to chilly places for the holiday season. I live in Boston. Last winter made my winter wardrobe obsolete. Please help me, Travel Fashion Girl, stay warm without the bulk! I would love to win these ibex thermals! I’m always looking for warm lightweight gear to pack for holidays and camping because I love packing light and I’m always cold! My family owns a farm and we are out in the weather all the time. Thermals have been my go to since I was kid! I would love to win a set of Ibex thermals because I want to travel carryon only even if the weather outside is cold! Help me pack light every time! And to stay warm when not traveling but going about my day in winter here in the States. I would love to win the set of thermals, because I find merino wool to be the best material ever, and it would definitely keep me warm without having to pack bulky sweaters! Going skiing with only a carryon is IMPOSSIBLE. It would be great to lighten the load with these great thermals and look great at the same time – better than the old waffle weave! I travel during cold weather months for work, identifying horses. I am outside for hours on end, sometimes in extreme conditions. 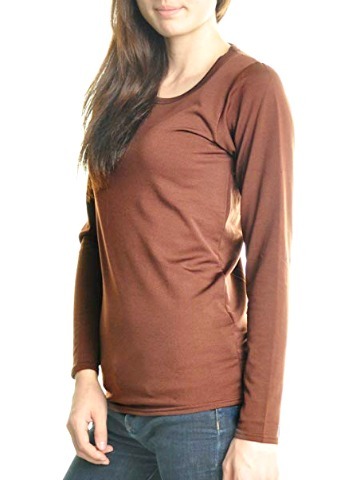 I would love to stay warm with IBEX merlino wool thermals. These would be perfect for the 3 month vacation/agency nurse assignment I am currently trying to arrange for 2016! I live in Chicago, so thermal layers aren’t just for traveling! During the coldest days of winter (seems like we’ve been getting more and more of those the last few years) I regularly wear thermals under my outfits to keep warm when I venture outside. Right now, my favorite is a very old pair of Cuddle Duds that was bought in college for ski trips. They are more lightweight and just as warm as fleece tights. However, I’d love to try some of the silk or merino thermals! I can’t get past merino wool so it would have to be Merino33. Warm and light without the bulk is always a winner in my books! Don’t overlook Wintersilks. They offer a variety of base layer styles for men and women. The clothes are amazingly lightweight, and thin enough to wear under anything. They run sales often, so it’s worth watching for the prices to drop. I will be in a small mountain village in Nepal this January and February, helping with the earthquake relief efforts. This village has no electricity, no phone, no WiFi, and. . . no heat. I have Wintersilks and Duofold thermals. An additional layer of merino would really help! Always enjoy your posts, TFG! Thanks for sharing your love of travel and what you’ve learned. As for thermals, I find wool or a wool blend to be best in both wet and dry cold environments. I live in a tropical climate, so finding warmer winter wear for my Chicago fall & winter visits is very difficult. Not only do I want to pack light, I also need warm clothing that won’t take up a lot of space in my storage closet when I’m not packing. I’d love to own a pair of Ibex Merino Wool snugglies. I’m going to take a few of these rec’s regardless of the outcome of the giveaway. I’m traveling to Iceland in December, with an 11lb TOTAL baggage limit, so thermals will be so necessary this season. I’m also doing 13 days in England and Scotland this coming February/March, so they would be handy then as well! I don’t travel much in the winter because I absolutely hate being cold. A pair of thermals could open up a whole new season of travel. I would love to have a set of merino wool thermal for my gap-year trip next year. I heard it is so warm and comfy for winter. I live in tropical country so it is hard to find merino wool clothing here. I would love to win merino wool thermals! After discovering TFG and literally studying – we are going to Playa del Carmen this weekend CARRYON ONLY!! We ski and have had smart wool ski socks, but never knew about the tee shirts, light weight jackets or thermals! Definitely will be adding essential pieces (over time)! I went through bad situation, that I didn’t prepared for the cold in late April in Rome, so I felt freezing almost the time.. I think winning the Ibex thermals will keep me to travel lighter, and these Ibex thermals aren’t available in my local markets.. This winter I will be flying to New York City, Tokyo, Osaka & Hokkaido Japan, Seoul South Korea and Beijing China …Brrrrr!!! I have been layering with UNIQLO heat tech thermals & fleece lined thermals. 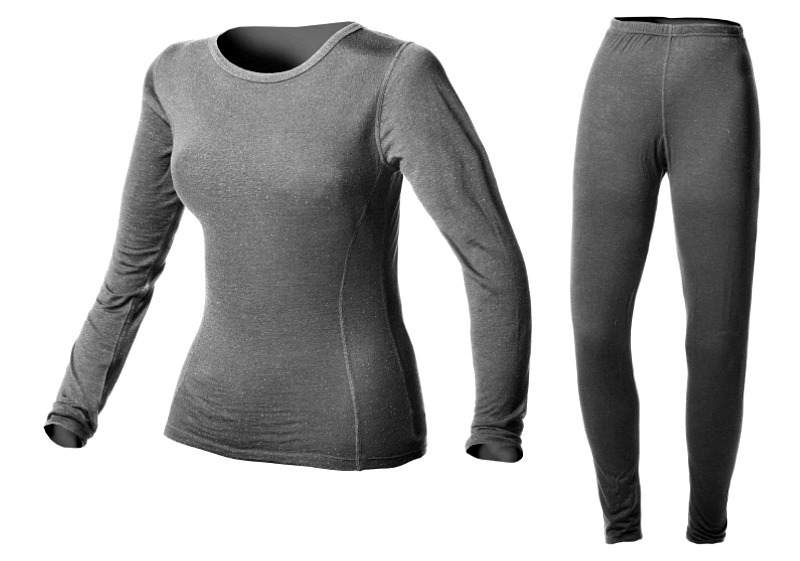 Would love to give IBEX merino thermals a try this winter!!! Thanks to TFG advice I got myself a merino wool thermal top and I wore it almost 24/7 on my recent 3-week trip to Ireland. It was indeed a life saver. I am currently planning my trip to Canada and I believe my new Ibex thermals would keep me warm and stylish. I love seeing the world without worrying about the cold and a bulky backpack. I’ve never owned a pair of thermals… I’ve lived in the South my whole life and I will finally be traveling to Alaska for my 30th birthday!!! Winning a set of light weight thermals would be the icing on the cake since I’ll be going to Alaska when it’s pretty cold. They would certainly be light and compact to pack and keep me warm but not sweaty when hiking the glaciers in NZ over Christmas/NY this year even though it’ll be summer. New thermals! So my winter travel plans this year include a trip on a cruise boat from Vancouver to Los Angeles in the middle of December. Thermals provide a layer under my maxi skirt or the endless cardigan that that seems to come up during this time of year. On top of that I’m stuck going to my Union conference, professional casual or business casual whatever that means to a scrub wearing gal like me. I like that thermals can fit under my fancier clothes. Plus I live in a drafty 1920 cottage in the middle of Washington’s San Juan islands, translation: always cold. I’m an American living in Finland. I did one year of my PhD here and will finish in Brussels (where I was just awarded a 4 year scholarship), earning a joint degree from both universities while traveling between the two places. Not to mention traveling around Europe on weekends! I love Ibex, have several pieces and have yet to be disappointed. I also love TFG and all the great travel tips. A win- win combination! Great idea to use these as jammies! I would love to win some merino wool layers for my I am doing some ski travels this year! I would love to win the Ibex and keep warm during winter travels. And of course, got to get those Angelina leggings too! I would love to win a set of Ibex thermals for fall and spring camping trips. I hate feeling weighed down in a layer after layer of clothing, just to attempt to stay warm at night. Not only would these help keep me warm during my upcoming holiday travel, but they would really help in the readjustment of living in the Midwest again after living in SoCal for a few years. I can’t stand being cold, but surprisingly have never worn thermals! I was eyeing some the other day, however, with a new baby I’m not sure I’ll splurge for now. Went to Paris in November and CuddleDuds saved the day and kept me warm under my clothes. But when I cruise the North Sea I am going to need some serious warmth. Ibex Thermals will be the perfect foundation for this girl’s North Sea adventures. Went to Paris in November and stayed warm with CuddleDuds. But when I cruise the north sea I’m going to need some serious layering and Ibex Thermals is the place to start. A wise foundation to any cold weather wardrobe. Thanks for the round up and the reminder of how convenient base layers are. I will be investigating some of the less expensive options for my upcoming trip to Scotland. Perhaps if I plan to do more outdoor travel in the future, those merino layers will be worth the investment. I’ll have to stock up on some of these before I go to Minnesota this December! It’s supposed to be even colder than last winter! Yikes! Aiming for a carry-on only to avoid the chaos. These should help! Thanks for the tips! I’m planning on traveling for a year and I want to go to places with all different types of climate. I’m insistent on traveling with only one bag, so creating my packing list is kind of like putting together a puzzle. Thermal base layer is crucial, and these look great. Thanks for the advice! I’m from NYC but have lived in Michigan the last 5 years. I’m widowed & my youngest is graduating this year from Michigan State University. I’ll absolutely look into All your Cold Weather Under garments as it is just Freezing here in Michigan. I’d love to win a set of the Ibex Thermals. I travel and I used your list of leggings and actually bought two pair of the fleece lined leggings. I’m quite thin and just can’t get the chill out of my bones. I look forward to your next article. I find you very informative .. Perfect for every occasion; at work with a suit, base layer or pjs when back packing at Pictured Rocks National Lake Shore, Girl’s wkend in front of the fire place drinking wine in Door County, hiking and snowshoeing in WI, January running, site seeing or to the theater with a scarf in NYC! These all look so nice, and I could use them since winters are super cold where I am. I would love to have a set of thermals to open up more possibilities for travel! Snoeshoe, ski, sled… hey! Going to Antarctica is on my bucket list! I have a feeling I may need thermals there! I have always kept my distance from thermals because it brought to mind the itchy things from my childhood. That’s until I tried cuddlduds. And since ibex is in the company of these, I’m all for trying them out. They’ll give me incentive to travel in the winter months. Am hiking in Machu Picchu next year with my sister, so packing light but warm/with layers is a must! And my husband and I have begun initial planning for both Iceland and Norway so the thermals would definitely be a useful wardrobe addition. I would love to win a pair of Ibex thermals. I get cold easily and always need layers in the winter. A set of Ibex thermals would be the perfect prize. I am going on my first ever overseas holiday in December to London, Italy, Paris and Scotland and all those places will be cold. I am more mature than your average travel fashion girl, but that doesn’t stop my travel. I do get a lot colder than I did when I was younger. I can really use these terrific thermals! These thermals sound like a great addition to my packing list. I’m always extra cold when flying so wearing a pair of thermals might make the journey as enjoyable as the destination. Going to get a lightweight pair to wear for my next flight. I love how far ‘long johns’ and thermals have come in the last 20 years lol. The Ibex seem really nice. I love how sleek most of them are! Massachusetts gets pretty cold and last winter I shoveled our driveway quite a bit… so these would be nice! I have a lot of travel this winter to cold places! Looking at base layers now and this helped, thanks! This article is so helpful because I’m heading to Iceland for my next trip! I’ll need warm base layers do I can do plenty of treks, as well as cold water snorkeling! So many brands I can’t know about too. Love merino wool. Smartwool and Icebreaker are the brands that I use the most. Great article!!! I love thermals, especially Merino. Right now I’m wear Uniqlo heattech as a base layer. I’m travelling this winter so would love to win a set of merino thermals! I would love to win a set of wool thermals because u am going to visit the in laws in WISCONSIN this winter. My goal to to pack my toddler AND my clothes in a carry-on. So that means zero bulk. Wish me luck! I ski, and a nice non- bulky base layer is a must!! Easy to pack and moisture wicking make skiing less confining and toasty!! Merino wool thermals are amazing! I’d love to win a set because they’re the most versatile pieces for travelling – you can wear them by themselves or as layers for warmth. My current top is covered in holes from so much use so won’t last much longer. Would LOVE to win the IBEX thermals not only for traveling but also to ward off the bone chilling cold the frigid winters up here in the Great White North serve up!!! Help me survive the bitter cold. Brr!!! I’d love to try the ibex thermals because they would help me keep my pack light, my body warm, and look great too! I would love to win thermals! I would wear them when I go skiing or just sitting around the house on a lazy winter day! The Ibex thermals featured in this month’s give-away are super cute and I love the color! In recent years, I’ve learned to layer my clothing while traveling and thermals are a fantastic first layer. All the thermals shown actually look awesome – thanks for the reviews. I love the Terramar brand but haven’t tried their base layers yet. Merino sounds wonderful for winter travels with the kids! I would love to win a pair of Ibex thermals for my mom because I’m getting foot reconstructive surgery in December and my surgeon and hospital is in New York. I have to make many trips into the city, and because parking is so expensive, my mom has to wheel me blocks in the frigid temperature to the office. I would give them to her, because she has done so much, and I would never be able to afford these thermals. I travel between Colorado and the east coast Year round. I need that layer of warmth without packing tons of clothes and so I can pack light during the winter too. I love the outfit from Coldpruf, I definitely have to check them out! I would love to win the merino thermals for my July trip to Norway. We are visiting the fjords by boat and I am sure it’s going to be super cold. Thanks for the opportunity!! What a great article! I would love to add a set of merino thermals to my travel wardrobe. I’ve been using a set of Uniqlo thermals for a few years but they aren’t quite warm enough for the dead of winter. Merino is one of my favourite travel materials so adding something new would be much appreciated. I love thermals! I’m always cold – so a good set of these in my carry on are the only way I’m traveling to colder climates! Tarramar gets my vote. It will keep me warm without the bulky fabric. I’m taking a week-long trip to Paris in February, and these thermals would be perfect! I’m trying to pack light and I’ve never owned a set of thermals before. I’d love to win a set of Ibex thermals because I love these and want to travel light even in the winter! I would love to win the thermals! I’m going ok my first November camping trip this year! Brrrr! I love Arizona–even in the summer, but am always cold when I travel! As I visit my family in California throughout the winter, I need a set of Ibex thermals to help me stay warm! These are all great, but I would love to win the Ibex set…I absolutely hate winter, but I don’t want to let cold temps stop me from traveling! These would keep me cozy and warm, and I also like the style! Thanks for the reviews! 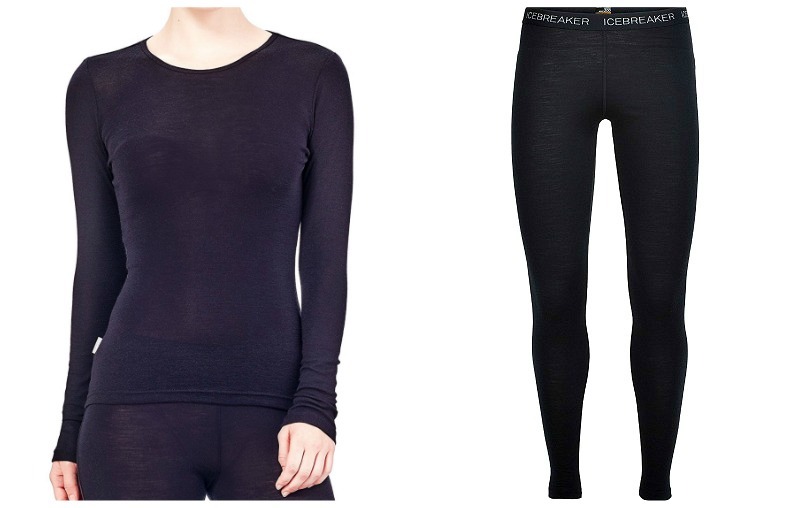 Lightweight thermals are a must have for packing light! I’d love to win a set of Ibex thermals because I want to travel carryon only even if the weather outside is cold! Help me pack light every time! I managed to find the icebreaker set on special and I absolutely love them. So warm, so comfortable and they don’t smell! That’s awesome! I love getting a good deal on a great item! Where did you get them? It’s a bit cheaper in the States. I also saw it on sale this weekend at a Cotswold Outlet in the Lake District for £30 each, regular price about £50 I think. Oh the places I could go with these ibex thermals!!!! I would laugh at the cold and run for adventure!!! These would make my old bones happy too!! !